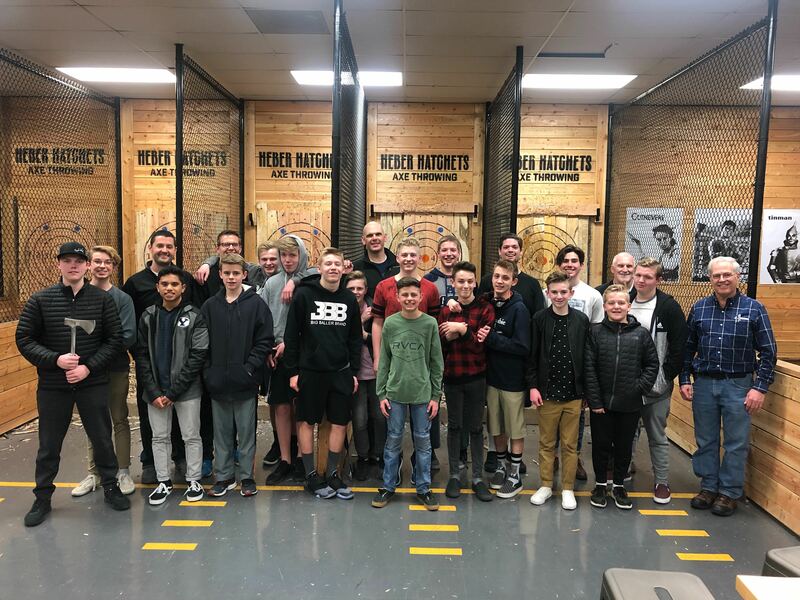 As you may have noticed, axe throwing venues are popping up all over the place, with quite a few now in Utah. 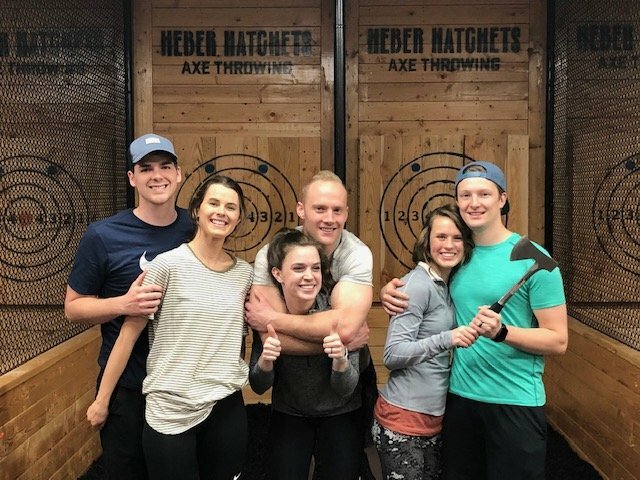 If you live in Spanish Fork, you’re just a few minutes south of the highly-popular Heber Hatchets Axe Throwing in Provo. It’s the authentic lumberjack experience and one of the most unique and fun corporate events or date nights you’ll ever have!  If anyone can appreciate the lumberjack games at Heber Hatchets Axe Throwing, Spanish Fork residents are those folks! They aren’t afraid of a little mountain-man recreation, and many of them are already sporting some of the best beards in the state! If you’re coming in from Spanish Fork, you’ll feel right at home at Heber Hatchets. We’re all about the beards, flannel, hatchets, and sawdust! And whether you’re a lumberjack or a lumberjill, you’ll have a great time with our axe throwing games. There are 9 different game variations to play, and one of the favorites involves trying to hit a dangling carrot on a string. It’s not your typical Friday night—it’s a different kind of fun! There’s no need to worry if you’ve never tried axe throwing before—we have a friendly team of lumberjack hosts and hostesses ready to show you proper technique and safety. They are easy to spot since they are all wearing flannel! With a little practice, you’ll get the hang of it in no time. And after you sink that axe deep into the bullseye a few times, you’ll know it was worth the trip from Spanish Fork! If you want to try popping over without a reservation, there’s a chance we can fit you in. But we highly recommend creating a booking in advance, to make sure we’ll have space ready for your group. You can easily make your booking through the Provo location page of our website, or by giving us a call at (801) 613-8960 to set it up over the phone. So don your best flannel, and comb your beard—the ultimate lumberjack activity awaits you!